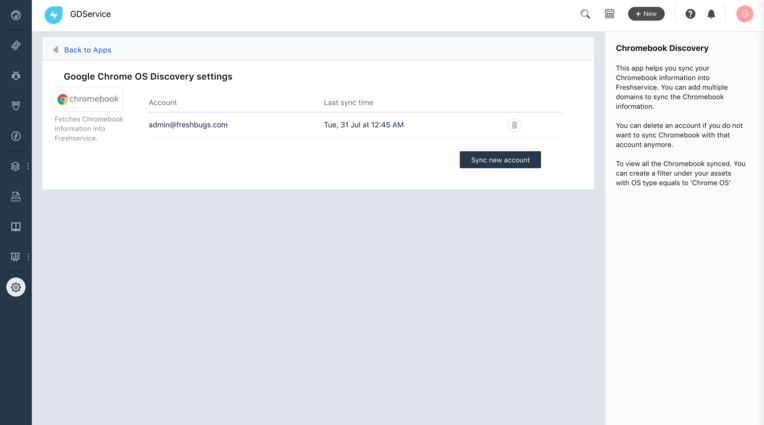 The ChromeOS device discovery app lets you sync your ChromeOS device information into your Freshservice asset management module. 3. When you find ChromeOS device discovery app, simply click on the icon and hit Install. 4. In the successive page, select 'Enable' to activate the application. 3. You should be redirected to the Google OAuth page. Please enter your google admin credentials. 4. 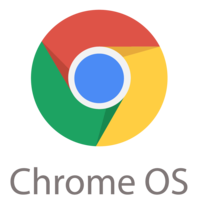 Allow "View your Chrome OS devices' metadata" when prompted. 5. You will be redirected to the accounts listing page. 6. When the sync is completed, the Last sync time will be updated to the time when the discovery was completed. Sync progress or failure data would be displayed under "Last sync time".